Hamagoten (浜御殿), now known as Hamarikyu Gardens (浜離宮恩賜庭園, Hama-rikyu Onshi Teien), in Tokyo. The residence became the property of the Tokugawa family during the 17th century. 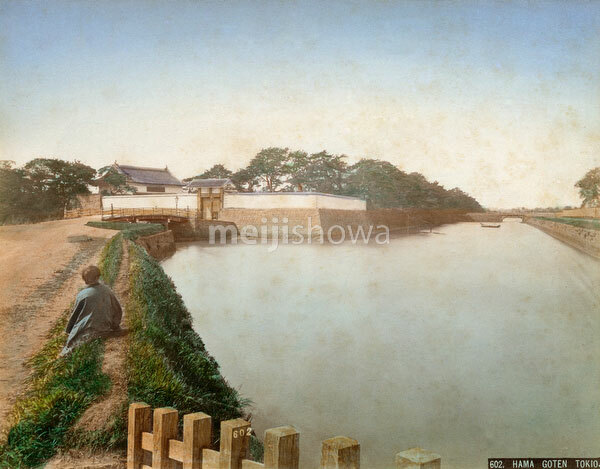 After 1868 (Meiji 1), the garden became a detached palace for the Imperial family. After the end of WWII, it became the property of Tokyo and was opened the public.